There are different kinds of publishers these days, and many ways to find an avenue to have books published if you do the work, persevere, and sometimes, look places you didn’t expect to find a publisher—like right in your own backyard. If you read this blog regularly you know I’m a fan of traditional publishing (in all its forms) and today author Shelagh O’Connor Shapiro shares her journey and success—amidst setbacks and disappointments—with us. I hope her story inspires you to find the path that’s right for you. 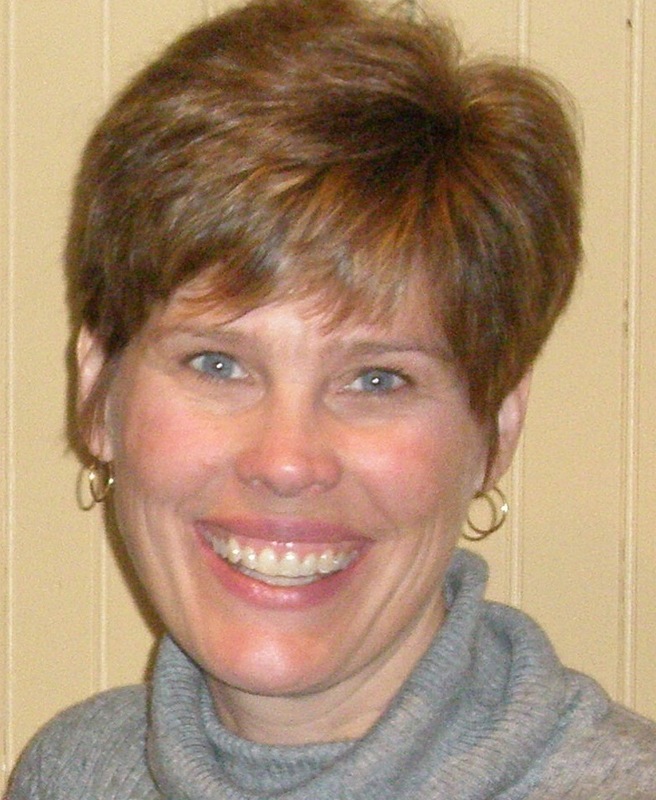 Please welcome Shelagh to WFW! Amy: Can you tell us a little about Shape of the Sky and what sparked the idea for the story? Shelagh: In 2004, the band Phish announced that they would be taking a break (possibly breaking up altogether), and that they would play a last weekend in the tiny town of Coventry, Vermont. In reading the event’s news coverage, which started months ahead of time, I learned that a farmer near Coventry had decided not to plant crops that year, because he could make more money renting his land for campground space. To be clear: he had done the math and he would make more money in that one weekend—renting his land to campers—than he would otherwise through the entire planting season. This floored me. I wondered what else this concert might bring to a tiny Vermont village. I began to write about a fictional farming couple who decided to make a similar decision. The town of Resolute, Vermont was born, and a series of interconnected storylines began to spin themselves out from that initial idea. My characters included a high school dropout with extraordinary musical talent; his mother, a paralyzed single mom with a secret; the new state trooper who arrives seemingly out of nowhere; a fan in love with a drummer; a rock star who finds himself short on inspiration and questioning his talent. These characters were so real to me by the end; I found myself feeling indebted to that actual farmer in Coventry. Amy: In our instant gratification world, sometimes it’s good to remember that books (let’s assume) aren’t written overnight. How long did it take you to write Shape of the Sky? What was the process like for finishing the manuscript and getting it ready for publication? Shelagh: This question made me smile. I am an exacting writer (to a fault, maybe). I do not outline, I do not free write, and I don’t fly through a first draft. Try as I might to become more efficient, my process is what it is, and I took almost five years to write what I decided was the final draft of Shape of the Sky. Thankfully, my editors agreed that it was in pretty good shape by then, and only asked for a few changes after that point. True, these changes included some painful cutting, but I trusted their instincts and was very happy with the end result. Amy: Your publisher is Wind Ridge Books of Vermont. When authors today are almost spoiled for choice when it comes to publishing options, would you share why this was the best publisher for you? And what was your biggest obstacle to getting published? Shelagh: Spoiled for choice? I have to admit, I didn’t feel that way. But I wasn’t interested in self-publishing. I wanted a press that could lead me through the thickets and help my manuscript become a book. Since publishing Shape of the Sky, I’ve honed my marketing and publicity skills, and so maybe I’d be more confident to self-publish now, if I wanted to bring a book into the world myself. But as I tried to find a home for my novel, I felt anything but spoiled. The background on this is that Shape of the Sky was my fourth manuscript in nearly twenty years of writing. It then became my first published novel. With my second book, I did find an agent who put me in touch with two big, well-known publishers. They asked to see revisions before offering a contract. So I did extensive revisions, first for one press, then for another, but they both passed in the end. The agent subsequently left the business, putting me back where I’d started. Devastating, yes. So I started another book. With Shape of the Sky, a number of agents asked for the full, then kept it for a very long time. Two agents had the book for a full year without reading it. During that time, I met Lin Stone of Wind Ridge Books of Vermont. She asked me if I’d like to submit my novel to her. And so I did. She wanted to publish the book, and then I did in fact feel spoiled, because of the way that this wonderful small press treated me—with respect and gratitude for the work. Perhaps the biggest obstacle in writing the book had to do with the process I mentioned earlier. As I said, I am a slow writer, and my approach to writing has, in the past, involved a good bit of meandering to find my way. (One of my novels took more than five years to write, and I did not want that to happen again!) With Shape of the Sky, I managed to minimize this issue by finding a structure to keep me grounded. Once I had devised the structure I wanted to work within (which I won’t go into, because it’s a bit complicated for this post, but suffice to say I worked with a musical construct called the “Circle of Fifths”), the book moved forward much more quickly. Writing into structure kept me focused and also resolved certain creative decisions that could otherwise have become impasses. I will never again work without a structure that keeps me focused, excited and shielded from my own impetuousness! Amy: What’s your best advice for aspiring authors in today’s publishing climate? Shelagh: If you love writing, and if you are able to write, do it. If you want to “be a writer,” first decide what is driving you. Money? Fortune? Fame? Admiration? All great motivators, but pointless if writing does not bring you joy or some sense of discovery and purpose. If, however, writing is how you make sense of the world, and you’ll be doing it with or without a book contract, then don’t lose faith if your ideal publishing experience eludes you. For the most part, unless you’re incredibly lucky, only perseverance and hard work allows you to succeed as a writer. Think of the journey as a kind of koan, a “paradox to be meditated upon … used to train Zen Buddhist monks to abandon ultimate dependence on reason and to force them into gaining sudden intuitive enlightenment.” (www.merriam-webster.com) If you embrace the paradox, and focus on your writing, you’ll survive. 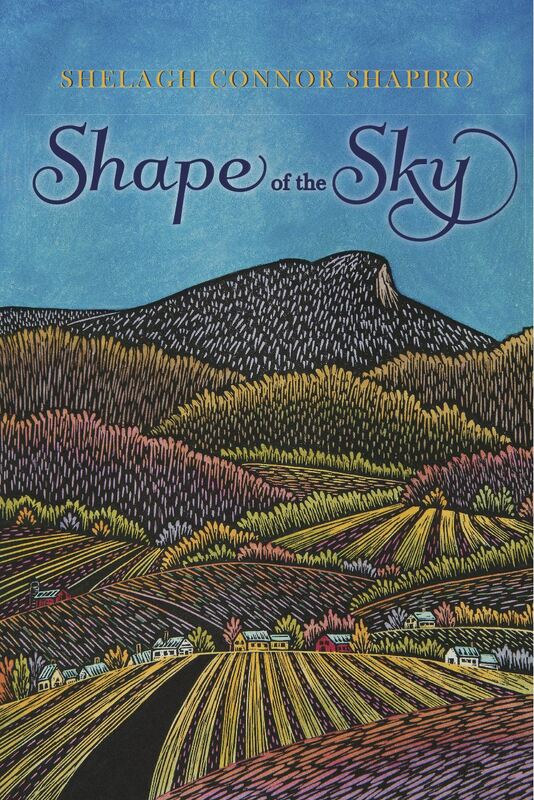 Shelagh Connor Shapiro’s novel, Shape of the Sky, was published by Wind Ridge Books of Vermont in September 2014. Her stories have appeared in North Dakota Quarterly, The Baltimore Review, Short Story, Gulf Stream and others. Her story “somewhere never gladly” was nominated in 2014 for a Pushcart Prize, having been included in Please Do Not Remove, a collection of stories and poems inspired by old Vermont library cards. She has an MFA in Writing from the Vermont College of Fine Arts and is a contributing editor for the Vermont literary journal Hunger Mountain. Her radio show, Write the Book, which features interviews with authors, poets, illustrators, agents, and editors, is heard weekly on 105.9 FM “The Radiator;” archived podcasts can be found on iTunes and at writethebook.podbean.com Shelagh lives in South Burlington, Vermont with her husband, Jerry. Sons Bennett, Connor, and Aaron are all grown up and scattered about the country, but luckily they still come around from time to time. What I did was substitute each key with a character’s name. And since the keys appear in more than one place on the circle – C major has all the same notes as A minor, but C is minor to E flat – see why I didn’t get into this? 🙂 – this meant that each of my characters would appear twice in the narrative, in a major and minor role. The reader would not probably pick up on the intricacies of this structure, though many readers have mentioned that the novel fits together in a way they find satisfying. The other aspect of this is that the keys at the top of the circle are simpler than those toward the bottom: fewer sharps and flats. And I made my “top” characters a bit simpler, too. Not without conflict, but perhaps a bit less complicated, a bit more straightforward. I hope this explains it well. Please comment again if you’d like to ask more questions! ~ S.
Thanks, Shelagh. No further explanation needed. I knew about the circle of fifths but couldn’t imagine how it could possibly relate to novel structure. How very clever and creative of you to do it that way. Sounds like it works perfectly, but I’m going to see for myself — not by writing my own, of course, but by reading yours. Fantastic! I hope you enjoy it. Thanks, Carole. As a writer struggling with exactly that same cycle, where agents seem to like my ms, say they like it very much, ask for changes then ultimately turn it down giving no reason, I was glad to hear of your ultimate success. With so many routes to publishing these days, I have not yet considered the small press route. Did they help you distribute hard copies of the book? I guess I don’t really understand what small presses can do for a new writer. Some people I have spoken to have been disappointed with their experience with small presses so It was good to hear your story. Thank you. Hi, Judy. Thanks for your comment. Yes, it has been a LONG road for me. To answer a couple of your questions, Wind Ridge works with Lightning Source and Ingram for printing and distribution. And what the small press did for me was publish the book without asking for authorial financial support. They provided editorial support, a launch party, social marketing, a local publicity campaign, and backup for my own publicity work. They work with an excellent design person, who was open-minded about my ideas for the cover. So I’d say they are supportive without being control freaks. I’ve been happy with the experience. That said, I can’t speak for the “small press experience” in general, because that is probably as varied as “the writing life,” from author to author. Hope this helps! Best of luck with your writing (and publishing efforts). ~ S.
Loved this post! Especially your comment, Shelagh, “…All great motivators, but pointless if writing does not bring you joy or some sense of discovery and purpose.” I love the process of discovery when writing. What a shame that agents sat on your book for an entire year. I have had similar situations, myself, with a book I finally set aside. Your book sounds fascinating. I’m off to add it to my Goodreads to read list! Thanks for sharing your journey. What an intriguing concept for this book – I look forward to reading it. And great, interview – very honest and realistic.